When I attended a construction tour and park preview at California’s Great America this past winter, it was announced that the Grizzly (the park’s perennially basement dwelling wooden coaster) was completely overhauled and had, in fact, been sped up by nearly 12 seconds. Understandably, there were grumbles and guffaws from the audience. After all, this was a coaster that had finished DEAD LAST in many coaster polls for DECADES. At one point, you have to think the park should have thrown a faux celebration at that dubious honor, right? Really?!? 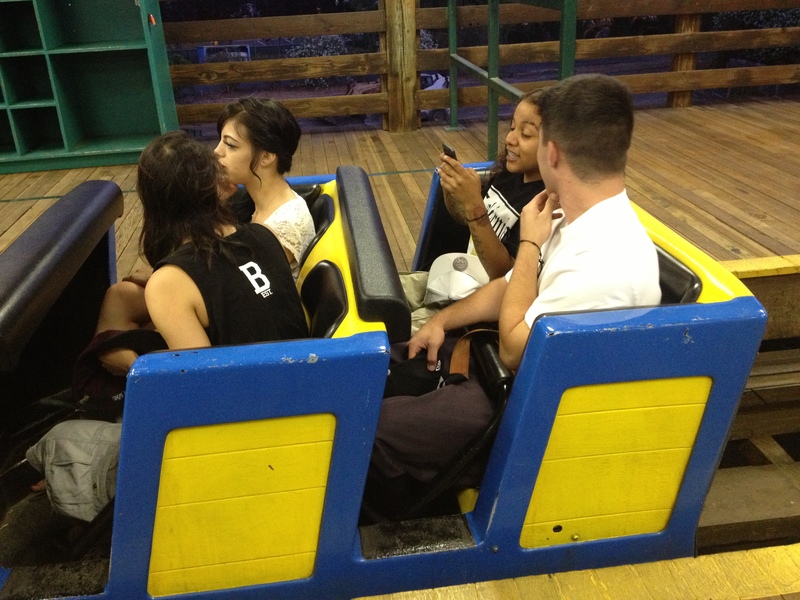 Grizzly is so boring you can text while on it? I disagree. It’s also moving so fast (from what it was before) that it’s actually placing some nice g-forces on riders in the lower turnarounds. Smiles, not grimaces now adorn riders of the Grizzly. Will it ever compete with Gold Striker on thrills? Absolutely not – even with extensive re-profiling to match more closely to the ORIGINAL Grizzly design at Kings Dominion in Virginia – to compare Gold Striker and the Grizzly is unfair. 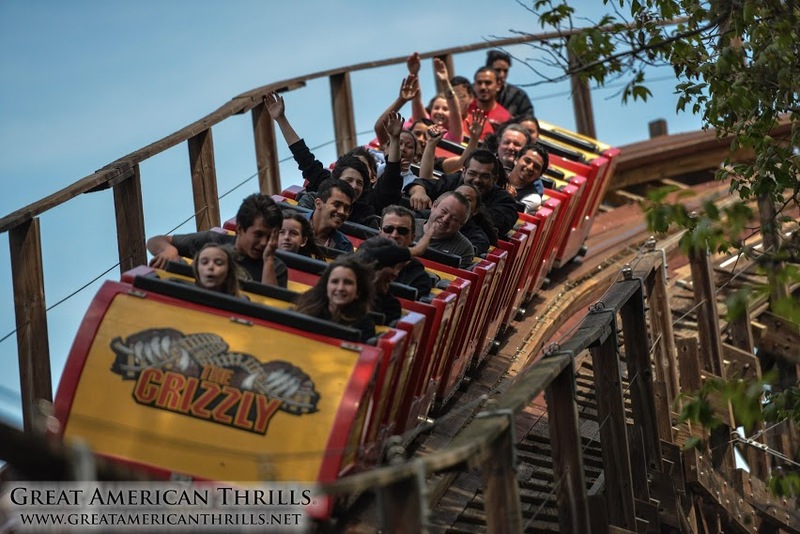 This entry was posted on July 15, 2013 by Great American Thrills. It was filed under Amusement Parks and was tagged with american thrills, amusement park review, california's great america, city of santa clara, coaster, destination america, discovery channel, great america, great american thrills, grizzly, Huell Howser, kris rowberry, kristopher rowberry, new series host, ride review, roller coaster review, santa clara, texting, the grizzly, theme park review, travel channel, wooden coaster, wooden roller coaster.